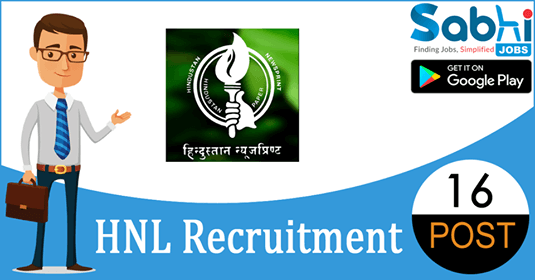 HNL recruitment 2018-19 notification has been released on official website www.hnlonline.com for the recruitment of 16 vacancies at Hindustan Newsprint Limited. The candidate who is looking for Diploma Apprentice Trainee can apply online application on 18th August 2018. Qualification Diploma in engineering all relevant discipline. How to Apply Interested and eligible candidates may appear for walk-in-interview along with all relevant documents and certificates at the time of interview. Venue of Interview: At Govt. porytechnic College, HMT Junction, Kalamassery, Kerala.